In a database analysis of 22 studies of COPD patients that compared their body mass index (BMI, a measure of whether body weight is high or low) with mortality rates, some surprising findings were made. As might be expected, patients with a normal BMI had lower mortality compared to underweight COPD patients. But here’s the surprise; overweight or even obese patients also had lower mortality than underweight patients. Step on a scale and determine your weight. Convert your height from “feet and inches” into just “inches.” For example, if you’re 5 feet 10 inches tall, your height in inches is (5 feet X 12 inches/foot) + 10 inches = 70 inches. Over 11 million people in the US have been diagnosed with COPD. An additional 12 million are thought to have undiagnosed COPD. Early diagnosis and treatment are beneficial for both management of the disease and possibly for long-term survival, so it stands to reason that early detection of COPD should be a goal among medical care providers. A group of researchers in Japan set out to test an early detection program for COPD among primary care doctors. A total of 482 patients age 40 or over who regularly visited a general care doctor because of chronic disease were asked to complete a COPD screening questionnaire and undergo a simple spirometry test using a handheld spirometer. The questionnaire gathered information on factors known to be associated with COPD such as age, BMI value, smoking history, and the presence of other medical conditions that are often present in patients with COPD. We are so glad to hear that you do all you can to say as healthy as you can as you cope with COPD. 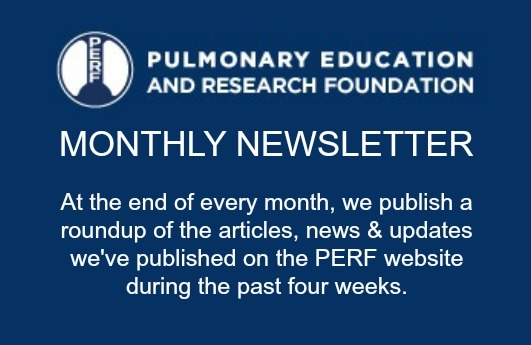 As you requested, we’ve added you to our email so you’ll be sure to receive our weekly email updates with links to the latest articles we’ve posted. Best of luck to you.